Q. How do I cite an image in the MLA style format? 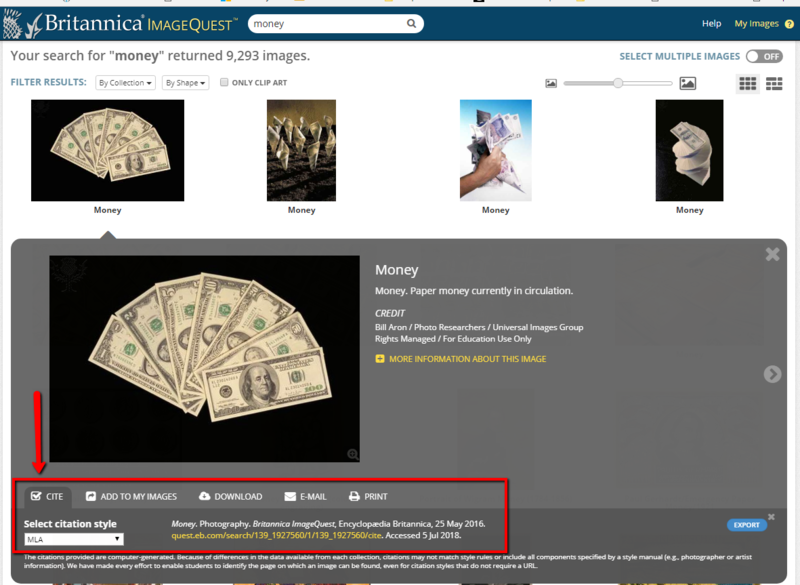 If your image did not come from ImageQuest, you would need to create your own cite using whatever information you have, such as Creator (artist, photographer, cartoonist, graphic designer), Title, Creation Date, Location/Container, URL and Date you Accessed it. Here are the examples Purdue's OWL uses for citing images. The first two are photos of artworks viewed online, the third is a vintage photo from NatGeo's Tumblr account. Provide the artist's name, the work of art italicized, the date of creation, the institution and city where the work is housed. Follow this initial entry with the name of the Website in italics, and the date of access. Goya, Francisco. The Family of Charles IV. 1800. Museo Nacional del Prado, Madrid. Museo Nacional del Prado, www.museodelprado.es/en/the-collection/art-work/the-family-of-carlos-iv/f47898fc-aa1c-48f6-a779-71759e417e74. Accessed 22 May 2006. If the work is cited on the web only, then provide the name of the artist, the title of the work, and then follow the citation format for a website. If the work is posted via a username, use that username for the author. Adams, Clifton R. “People Relax Beside a Swimming Pool at a Country Estate Near Phoenix, Arizona, 1928.” Found, National Geographic Creative, 2 June 2016, natgeofound.tumblr.com/. Even if your image came from Google Images or Pinterest, they are not the publisher. The MLA Style Center FAQ says to click on the image and then on the "Visit" button to go to the website where the image is posted, and look for a title, photographer, date, and URL there. Also add the date you saw it after "Accessed", especially if you can't find the date it was posted, since these websites change often. Jacob. Photo of Tick Bite Lyme Disease Bullseye rash. TickBites.net, www.tickbites.net/wp-content/uploads/2014/12/tick-bite-lyme-disease-bullseye-rash.jpg. Accessed 25 May 2018. “Classic” Lyme Disease Rash. Photo. 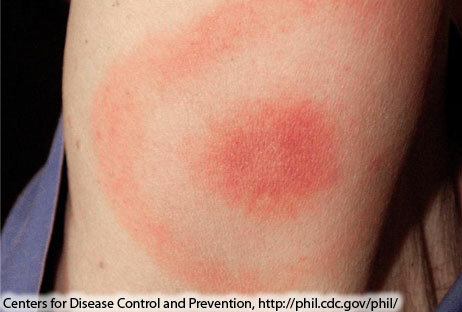 CDC.gov, www.cdc.gov/lyme/images/rashes/CDC_EM.jpg. Accessed 14 June 2018. Where can I find images for my presentation?